Buying a used vehicle makes a lot of sense when you see owning it as a need bringing about convenience in your day to day work rather than a status symbol. In US automobile market, in fact, out of the total sales of vehicles that include cars, SUVs or trucks, some 50 percent are by way of sale of used ones. Arrival of internet has come about as a real boon when you do decide to go in for purchase of a used vehicle. Managing pressures of fast paced day to day professional life itself leaves hardly any time for the family; let alone hunting for a used car by visiting dealers! You can use the web from the comfort of your home to literally examine a large number of used vehicles available for sale at different dealers; there is no need at this stage to actually try to find time to visit them in person. Of course, your first consideration needs to be the price range that your finances allow. Thus, you may narrow down the choice to your affordable range; then short list the vehicles that prima facie suit your preference. There is hardly any purpose going into the details of high end features, like USB compatibility, navigation system or Bluetooth technology in case you are looking for an economical car. This curtails the time spent on unnecessary search and the time saved can be utilized for making your selection more detailed from the available cars falling in your desired category. Currently, there is a demand for hybrid and fuel efficient cars; they are obviously carrying higher price tag. It also serves a good purpose if you ascertain cars with some specific features to be costlier because they are better suited to the local conditions. Rural area scenario makes trucks costlier as they are used as a means of earning by using them for labor; posh cities have a higher demand for flashy sedans and fashionable convertibles. 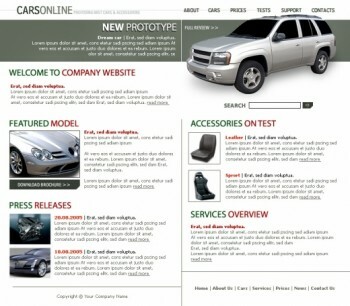 There is no dearth of online sites that are designed by dealerships to make them as customer friendly as possible. The used cars available are found classified into categories with price range, make and models. You can start browsing the way it suits you – highest price downwards or the other way around. Engine and fuel type, safety features, interiors and color, all are found systematically arranged on such sites. Reviews of a particular model, quality of services at a dealership as well as comparison of prices at different dealerships, are all available just with a click on your comp. You really can make best use of internet to select the best bargain. Coming to finalizing the deal, you must satisfy yourself that you are dealing with a well-established dealership. You may sure ask for a test drive after narrowing down your selection in case the dealership is local. There is no doubt that if you go about the deal with the desired circumspection, the chances that you get utterly duped buying online are quite narrow; insisting on proper certificates about the condition of car exterior, interior, tires, battery and engine, will further reduce such a chance.